Reach in & Reach out. Reach-in and embrace the power that respects your past, then reach-out and evolve to create a happier and healthier future. 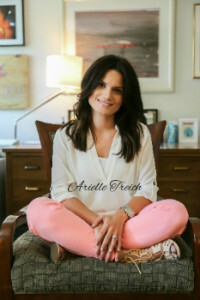 Arielle Treich is a Licensed Associate Counselor at BN counseling and she received her Master’s in Clinical Mental Health Counseling from Kean University with experiences at High Focus in Cranford, NJ and Trinitas Hospital in Elizabeth, NJ. 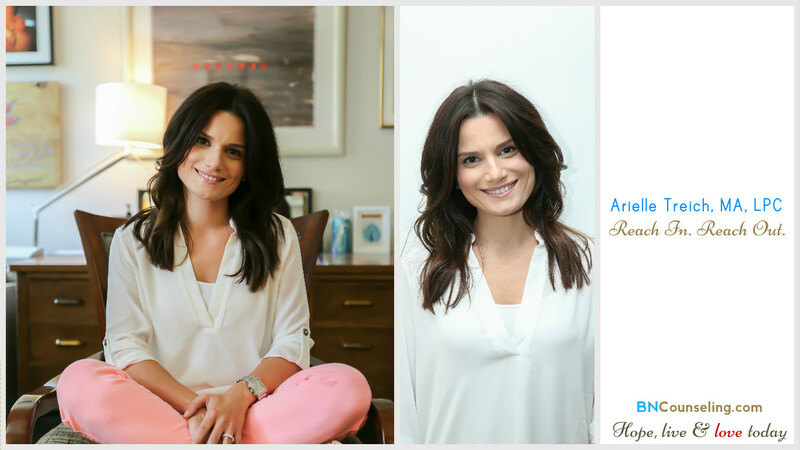 In addition to her position at BN Counseling, she is currently enrolled at the Psychoanalytic Institute in Teaneck, NJ where she continues to further her education and passion for the field of counseling. I became a helping professional because I am energized by the possibilities of growth, establishing meaningful connections through reconciliation in problematic circumstances. Life like hopes and dreams are an amalgamation of fulfilling and disappointing experiences. We all have moments that are lost in the momentum of our struggles, and a helping hand can make a difference in the momentum of success. Previous to working in Florham Park, I was employed at High Focus in Cranford, NJ and Trinitas Hospital in Elizabeth, NJ where I had advanced training and education for licensing to practice counseling that consisted of supervision, while completing my Master’s program. During that time I had primarily worked with adolescents from 13 to 18 years of age who were struggling with depression, anxiety and self-harm issues. Since then, I have received training in EMDR which is used to help with the symptoms of post traumatic stress disorder (PTSD) and have expanded my client population to children (6 years +) and adults as well. My specialty areas include but are not limited to trauma, depression, anxiety, self-esteem, body-image, Children of Divorces and marital and couple’s issues. I began working with Brian in 2013 and have witnessed his practice set itself apart from others by instilling a unified family dynamic amongst the clinicians. Unlike other agencies or practices that I have known, Brian has also brought together a team of clinicians who contribute inventive ideas and fresh perspectives with a balance of youthful energy and mature wisdom. “PSYCHO-COSMETOLOGY” is a Body-Image group that I will soon facilitate, that addresses the Self-Concept, cosmetic medicine; fashion, inner and outer beauty and happiness for teens and adults.